Product Consist: Dry Fruit Cake Sweets (Weight: 200 gms), Rudraksha Rakhi, Masala Cashew (Weight: 100 gms) along with Roli Chawal Container. 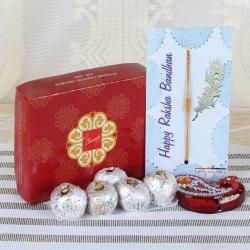 Rakhi with Sweets Hamper for your brother, enjoy Raksha Bandhan festival through Giftacrossindia.com. We will convey your blessings with love and care anywhere In India. 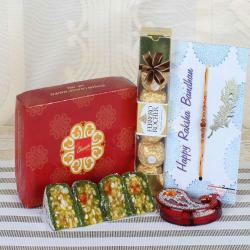 These Sweets will add the much needed sweetness in your brother's day. This amazing taste will remind him of all the childhood memories. 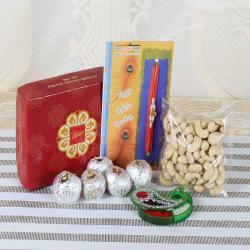 It is a great innovated gift selection choice for the sweet lovers. 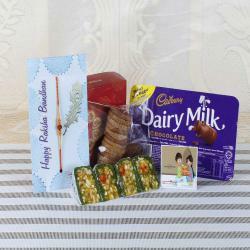 Get this hamper along with the rakhi thread so that you have an amazing rakhi celebration day. 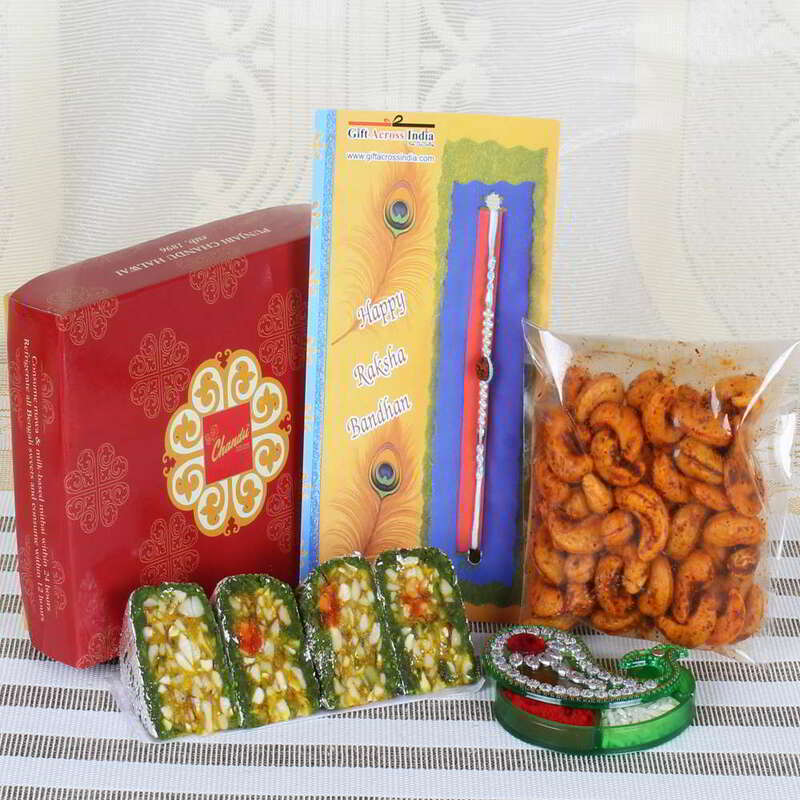 Let's get back to tradition and relish the taste buds with mouth watering fresh sweets gift for your loving brother.Product Includes: Dry Fruit Cake Sweets (Weight: 200 gms), Rudraksha Rakhi, Masala Cashew (Weight: 100 gms) along with Roli Chawal Container.